Happy Friday everyone! 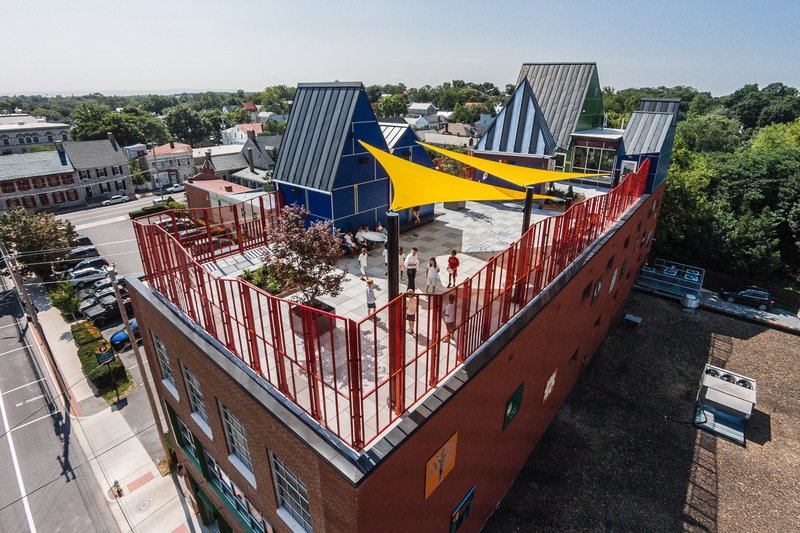 I just finished a shoot for a local architect that designed the rooftop for the Shenandoah Valley Discovery Museum. If you haven’t been, you should really check it out. And if you’re traveling through the Shenandoah Valley, check it out. It’s a major upgrade from their location on the Old Town Mall and it’s really only one short block from the mall anyway (there’s even a parking lot situated right beside it). If you need an excuse to go, it’s free tonight from 5-7:30 as part of First Friday in Old Town Winchester. The new, very colorful rooftop of the Shenandoah Valley Discovery Museum in Old Town Winchester. See more images of the museum.